I had this a few weeks ago at Wit's End and it was definitely an interesting beer. I wrote down that this has a "choppy head", which I have no idea what it means, but if you have it, maybe you will understand. The smell is very wheaty and the taste is strongly wheaty with a light bitterness. 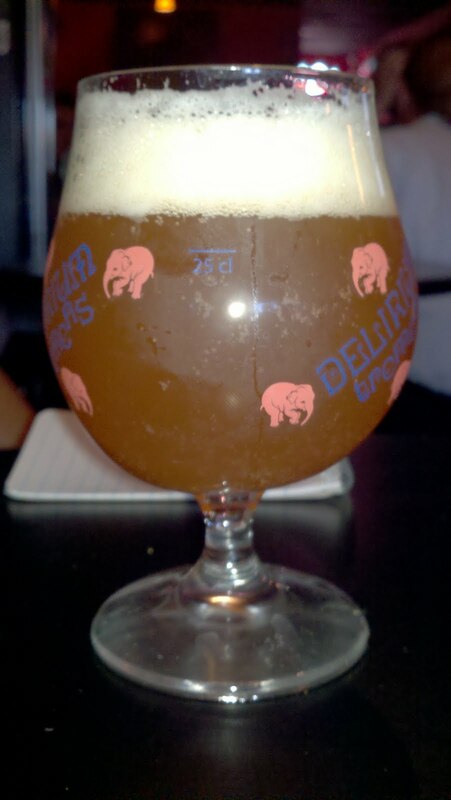 It has a nice orange opaqueness that is a pleasure to look at through the Delerium glass. Towards the end, it takes on a pepper flavor, adding a bit to the acid reflux of Wit's End.